This guide is going to show you how to post your press release. If you fancy the idea of posting your press release online and being read by eLearning professionals all around the world, read this guide and follow the steps described below. If you have already purchased a Press Releases subscription at eLearning Industry, you can navigate to the Press Release Management Page and click "Add New" to create a new press release. In the popup window, enter a headline and click on Add Press Release. Don't worry too much about the headline, you can change it later on. Then you will eventually be redirected to the press release editor. 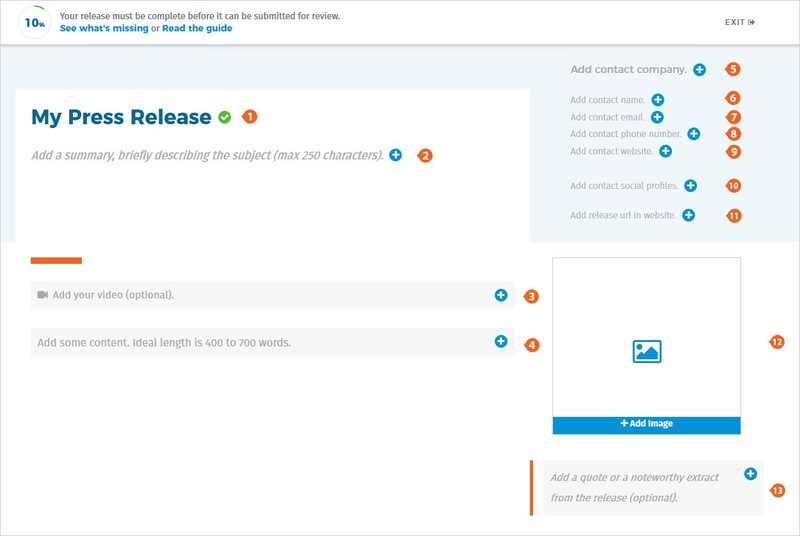 The completion meter will be your guide to press release completion. You can click on "See what is missing" at any time to see the sections that are still not complete. When your article is 100% done, you will be given the option to submit it for review by clicking on the corresponding button next to the completion meter. Once approved, your press release will be posted. You can manage and edit your press releases before they have been published by accessing the Press Release section in your dashboard.